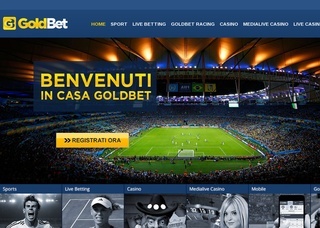 Goldbet is one of the well known and respected booking companies in Europe. It was found in the year 2000 in Innsbruck Austria. At the moment, the online bookie is so important it contributes to the economy of the whole continent. The bookmaker has the license under Austrian law that in many countries around the world is a guarantee of quality, safety, and trustworthiness. The license is the grant by the government of Tirol, and it is with a number: lla-10.083-00/53 granted on the 05.08.2010. The company is proud of its experienced management and business solutions which it offers. It also is proud of its results to the constant audit that the local government applies. Goldbet is a subject of constant checks for its clients to be well protected. The bookie is proud of its financial stability, consistency, and sequence. All casino games perform by another company in the family of Goldbet – GoldBet Entertainment Ltd, which is registered and licensed in Malta by the local government and authorities. The license number is MGA/CL1/702/2010, MGA/CL2/702/2010, MGA/CL3/702/2010, MGA/CL3/703/2010, MGA/CL1/704/2010 on class 4 Amaya (Malta) Ltd (MGA/CL4/194/2004) and MGA/CL1/705/2010 on class 4 Net Entertainment Limited (Malta) Ltd (MGA/CL4/184/2004) all collectively issued on the 11.10.2011. This company for online bets is with focus on the most popular and well-known sports and offers options for the bet on them. Around 22 different sports are available for bets on the website of Goldbet. Some of them are soccer, tennis, basketball, motors sports, hockey, badminton and many others. The company offers bets not only for Europe. In baseball, for instance, the company follows the two biggest leagues – in USA and Japan. It also offers races – dog and horse races and many other sports to bet on. Goldbet allows its clients to play all sorts of casino games. There are more than 50 of them such as After Night Falls, Weekend in Vegas and others. Poker games are also an option. Everyone who wants to try them can pick from different tournaments and methods to play – via special program or directly online. Live streaming isn’t available on their website. On the other hand live betting is. On the website, every client can follow in real time the full statistics of different matches and events and take advantage of all betting options possible for the certain type of game and betting option. The website offers live coverage of some matches through a special interactive window that shows in real time where the ball is and who’s playing. The bookmaker offers correct score, over/under, cards, Asian handicap, corners, goals, double chance, DNB, Head to head, Odd/Even Total Games, Games Handicap, Set Betting 3, S1 Winner, Handicap Set, Played Sets (of 3). The odds usually start from 1.1 and go up to 4.6 in some cases. That is possible thanks to the size of the bookmaker that allows the company to offer high odds. All data that is going with a transfer to the company on one side through their website and each client has protection with a special SSL encryption technology provided by the certified authority. When clients visit sensitive pages on the website like the deposit page, for instance, there is a special icon that locks and shows that no data will leak out. However, when the clients just surf the internet, the icon isn’t locked. The bookmaker protects information online and offline. All files with data are stored in their offices and are well protected as the company runs special checks on all potential employees. The people who work there must secure best practices and-and constant audit etc. There are several ways to contact the bookmaker – e-mail, phone, and Skype. To ease the communication with its clients even more, the company offers several different languages on their website. Deposits are made by Credit/ Debit cards, virtual withdrawals, Bank transfers or e-wallets. 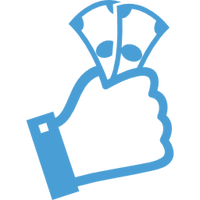 A withdraw only possible from the account used by the customer for making a deposit. Any other action such as transferring money to other connected accounts is against the rules and will be treated like money laundering. A withdraw request is only processed after a security check which usually requires some data collection such as ID, a copy of both sides of the card – debit or credit one, official document with the billing address etc. Withdraws usually take from three to five days of work. However, when the money is processed by hand in a bank, that takes no more than five bank days. In the same time, money transferred with e-wallets need 24 hours to reach their destination. All of them are free and take from not more than 24 hours to 7 working days. The minimum amount of money is 10 EUR, but there is no maximum. The only currency the bookmaker works with is EUR. Description of the current bonuses on the deposit for new clients and loyal existing clients. 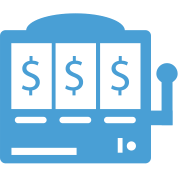 Each new player in the casino receives a bonus as well as regular clients. On each winning betting slip, the company is ready to add up to 120% for selection of odds all of which should be greater than 1.2.